This simple, yet classic design will add some sparkle to your belly with 5mm light blue crystal gem balls on each end of a flexible PTFE bar. 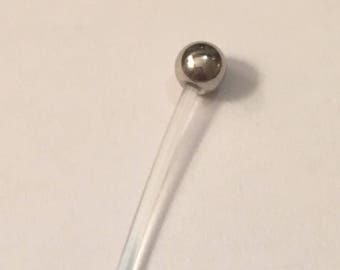 Both 5mm blue crystal gem balls are surgical steel. 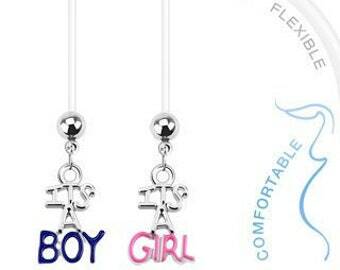 After your pregnancy, you can use these balls on the ends of your regular belly button rings! Available in 5 maternity lengths. You can easily cut and shorten if needed, for a custom fit. Instructions are in the policies section of my etsy shop.